The 5 exclusive Tree houses are spread in a dense jungle of 21 acres merging into the jungles of finest tiger reserves of the world. 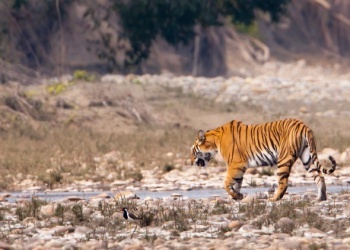 It is not uncommon to spot animals from the privacy of ones balconies which overlook the tiger reserve and the Bandhavgarh Fort. 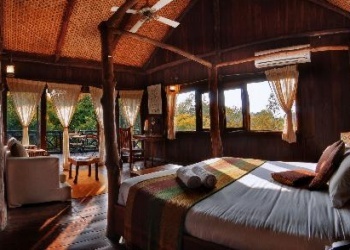 Designed in a fetching fusion of traditional jungle living and contemporary design, the tree houses are self contained and perfect getaway for a couple that is fanatical about privacy.The bedrooms are furnished with understated accessories in natural and earth tones. All treehouses have modern attached bathrooms with 24 hrs h/c water, living area, mini bar, split ACs with 100% power back up, mosquito netting, writing table & chair, and loungers in the balconies. 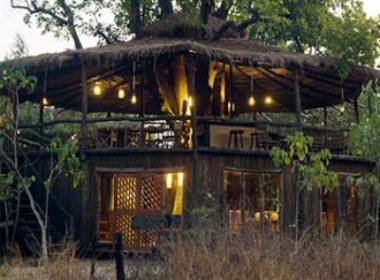 These treehouses have been made by local staff using regularized wood. 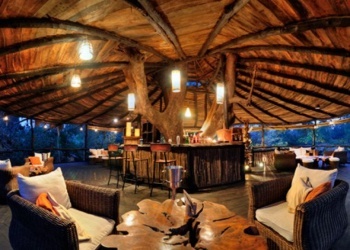 Local craft knowledge and expertise has been used at all quarters to ensure that the Tree Houses blend harmoniously with nature. A hidden treasure! It's sanctity and divinity will overwhelm you as you soak the pampering hospitality of the wonderful staff who cater to all your needs with the warmest of smiles. 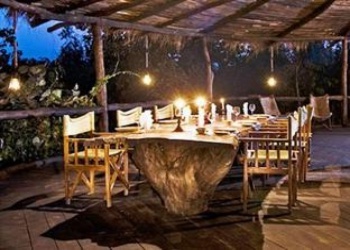 It's located in the thick of the reserve where your stay is blended in with the rich nature. So if your looking to have a wild time this is the place to be. The food is least to say delicious! The masala omelettes are to die for, the dal fry is cooked to perfection, the aroma of which gets your mouth watering, especially if you've returned from a safari. The utilities have a touch of state of the art. The interiors are crafted with perfection and I can't help but remember the raw woodwork on the roof! The naturalist there, also a good photographer will enchant you in his stories and if you aren't tired enough by the end of the day, do go for a night trek with him to sight some wild cats and porcupines! And lastly a special thanks to Mr Ajit( officially my role model) and his ever caring wife for making our stay so pleasant and joyful! You guys are great! And may you always be surrounded be love and peace!